Today I thought I would put on a ticker tape parade for my lovely sponsors. 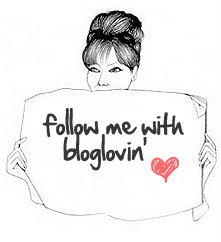 They are all fabulous and help ensure I can afford to keep my blog going! I only ever accept sponsors who I love and think you will love too. Just the most scrumptious cupcakes you will ever find. 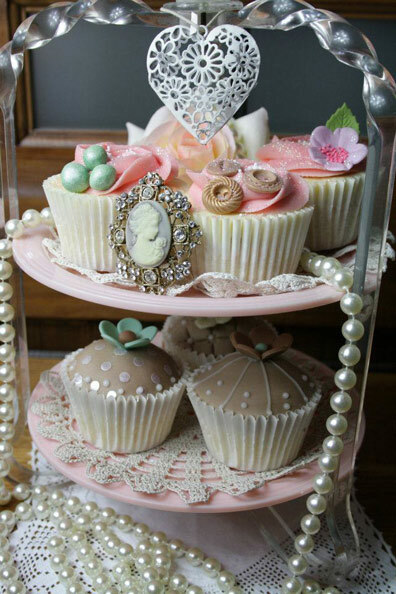 This Warwick based company not only make dreamy cupcakes but also provide afternoon teas, wedding cake, basically any cake for any occasion. 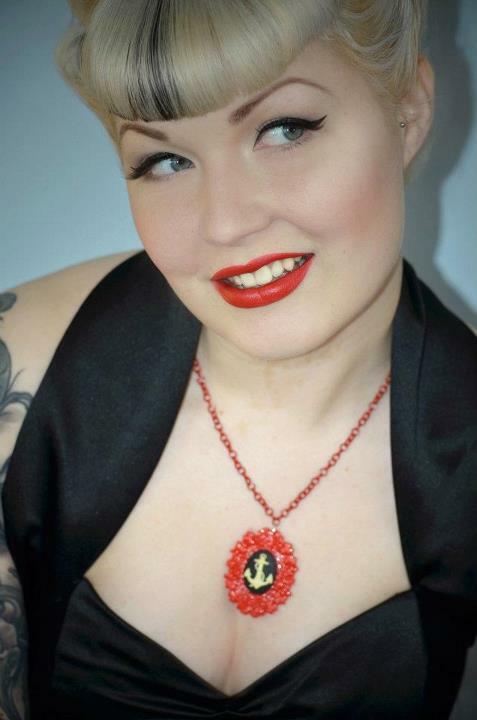 I first came upon this fab little company when I brought a necklace with a tiny sewing machine charm on (which has since appeared in both an OOTD post and on a vlog) A firm favourite within the rockabilly community, and worn by lots of vintage obsessed lovelies including Carmen Ghia from Carmen Ghia and the Hotrods! The wonderful Collectif do an amazing range of reproduction vintage inspired clothes and their frocks are to die for. They are also really keen to include more plus sizes and already go up to a size 22 in some designs. Both myself and Lilly were lucky enough to wear there frocks for a calender shoot we did and let me tell you, these dresses make you feel amazing! 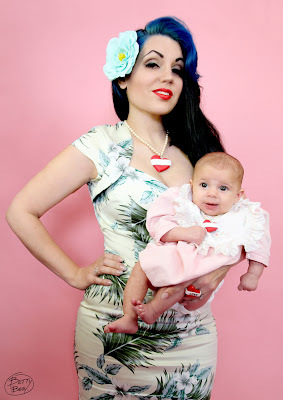 The newest addition to my blog and I couldn't be happier.Bow and Crossbones Hand make and sell vintage inspired, kitsch,rockabilly Jewellery and Accessories including an exclusive range of tropical inspired Tiki bamboo bangles, Bamboo earrings and bamboo handbags. 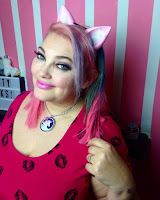 They also sell rockabilly clothing for men and women, inspired by 40's & 50's: dresses, Tops, Skirts and awesome Rockabilly hotrod and biker tees, For Rockin' Kittens & HotRod Guys. I absolutely adore this wonderful on line boutique. its a treasure trove of both real vintage and gorgeous reproduction clothes, furniture, make up and homewares. 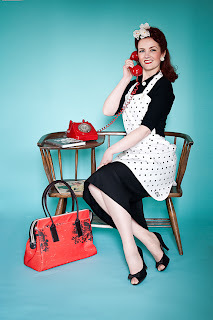 My particular faves are the gorgeous aprons (the best range in the land in my opinion) The lady who runs Lotty Blue Lisa is a rather dynamic interesting lady and even made a retro inspired film recently to promote the store. 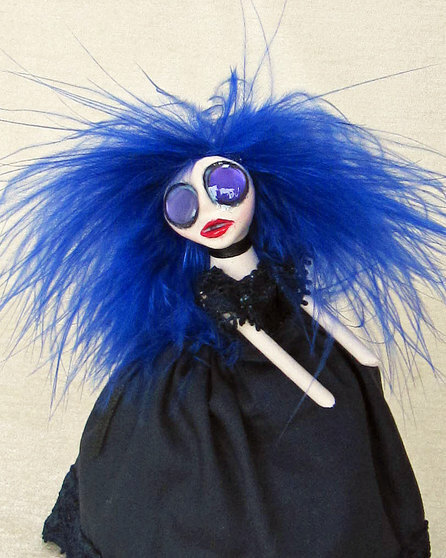 As soon as I saw Natasha Morgans collection of dolls I fell in love. Part Edward Sissorhands, part Grimm fairy tales they are just magnificently strange. Haunting & Gothic, sometimes creepy and maybe odd, Natasha's OOAK art dolls are all been hand created to tell their own strange stories. Come meet the women of Natasha's imagination, and some true women of the past, and learn their fates. One of the many lovely frocks I have brought from Soho's. My love for this store knows no bounds. 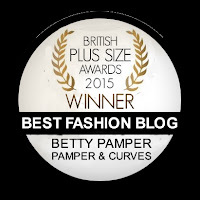 Since starting my relationship with them Ive become the face of their plus sized range which quite frankly rocks! Sohos stock everything from swing dresses to rock tees with a great big dash of rockabilly/emo/skater styling. Really affordable and with regular sales some of my favourite clothes come from here. Go Sohos!